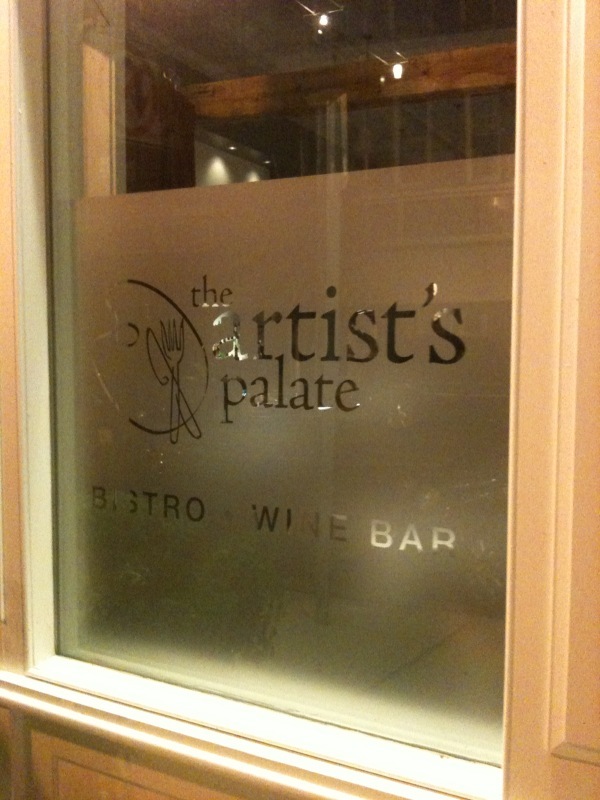 The Artist’s Palate is run by owner/chef couple Megan & Charles Fells (one a product of the nearby C.I.A) - and features a revolving seasonal menu (revolving every two weeks per their site). We checked around for what was in walking distance from our hotel – and the props on Yelp, Foursquare & TripAdvisor sang the locale’s praises. 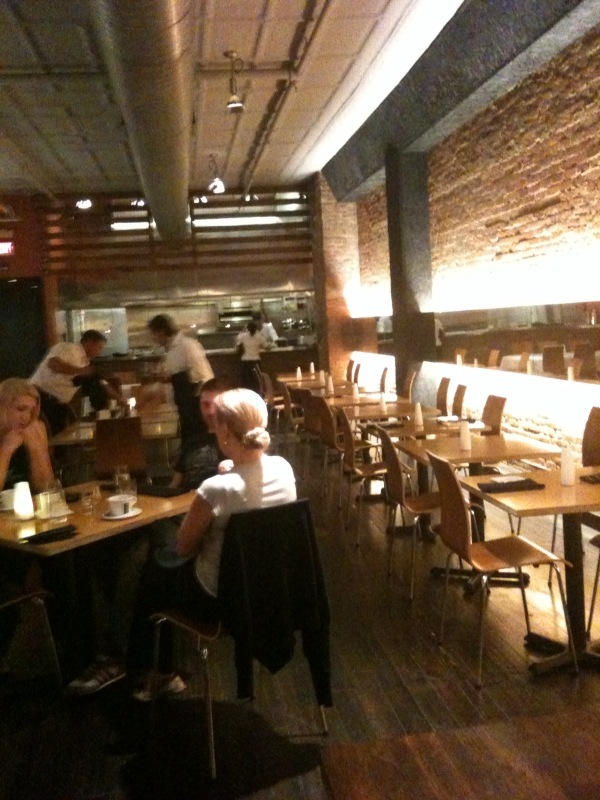 The vibe inside was casual yet hip with a touch of industrial. Heck, I’d love to be described that way ;-). We were seated right next to the open kitchen and got an up close and personal look/listen at Chef Fells expediting on the line. Sometimes seeing how the sausage is made is a great experience. Especially when the chef steps tableside to give you the personal story behind one of the most popular dishes. Second to my love of bacon is Kevin’s love of bacon. So – when we saw Bacon & Eggs on the menu he had to order it. Crispy Pork Belly? Hells yes! With a side of a 4-minute egg inspired by Craftsteak Las Vegas. Um, yeah! 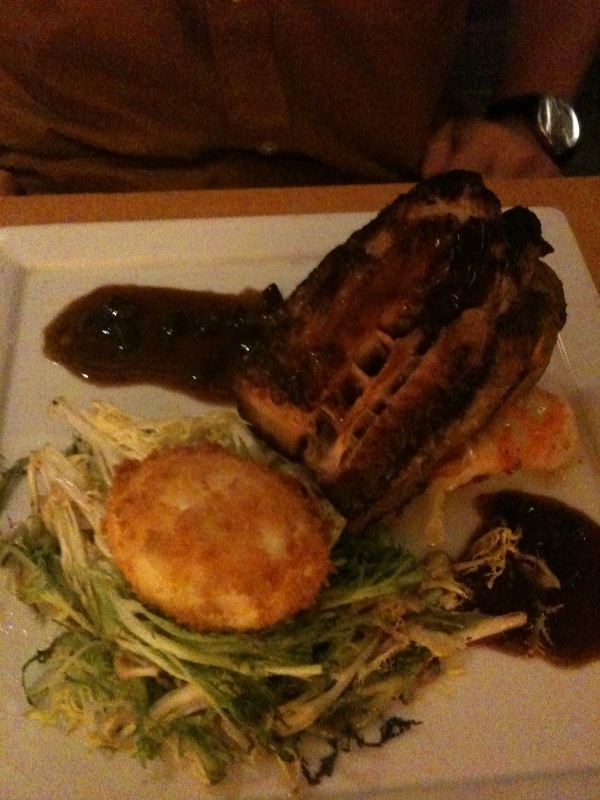 (official description: crispy pork belly confit, sauteed parmesean polenta, frisse, soft heritage breed egg). We are now on the hunt for a pork belly purveyor in Boise and you can bet that we’ll be working through a few dozen eggs trying to perfect the panko crusted 4-minutes of heaven. I’m not a lamb girl by any means. But I am a homemade pasta freak (see previous mac n cheese & gnocchi posts). 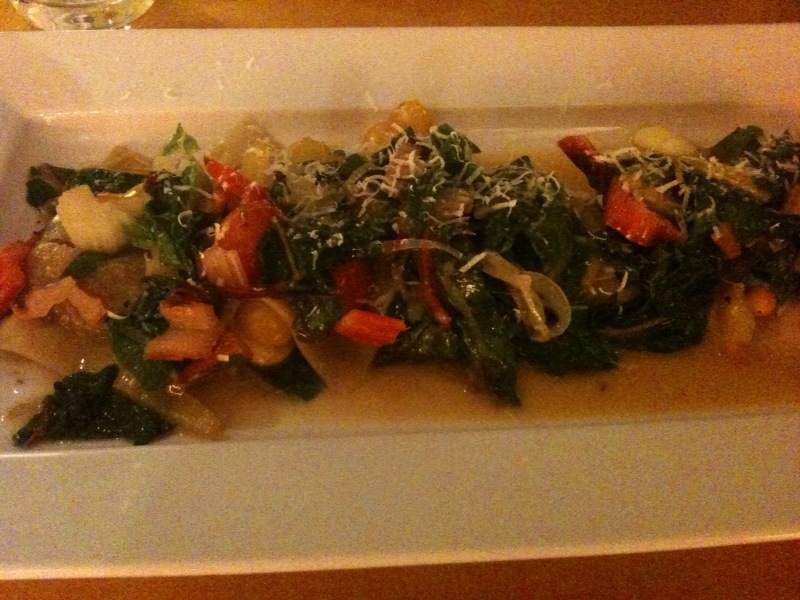 So I had to take the risk and order the House Made Ravioli: pasta pillows filled with braised local lamb, fresh herbs, tossed with poughkeepsie farm projects rainbow chard, heirloom tomatoes, fresh garlic. Pure delight, the richness of the braised lamb was set off by the fresh veggies. Add to all this the proud emphasis on local ingredients, casual yet innovative vibe and service that made us feel like VIPs at a chef’s table made it our favorite meal of the week. I often wonder if restaurants realize how much service and personal attention impacts their overall impression. Was the food itself the most skillfully executed or delicious? Actually, no. We had some fantastic entrees at the CIA’s American Bounty restaurant and an over-the-top spread at a wedding in Queens. But the experience was second-to-none and that made this food memory tops for the week. One of the best parts of road trips is the not planning. Finding the small town gems – like the best back alley bakery or locale’s brewery. I use Yelp and UrbanSpoon and now Foodspotting along with recommendations from friends on Twitter and facebook on where to stop. But a lot of times it’s keeping an eye out for the small signs, the cluster of cruiser bikes or recommendations from the guys having a local brew next to you at the bar. 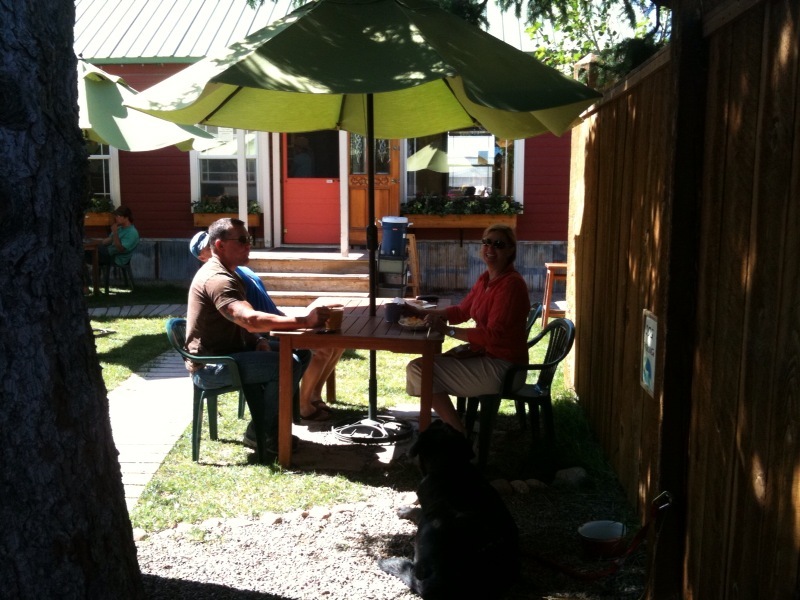 Great stop when you are rolling through Driggs en route to anywhere – the quaint hidden Pendl’s Bakery & Cafe – fantastic pastries, beautiful garden nooks and dog parking – ’nuff said.